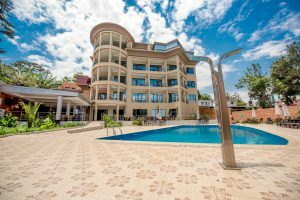 Scheba Hotel is situated in the up market area of Kiyovu, Kigali Rwanda. 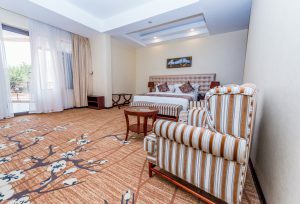 Experience a wonderful stay as the contemporary elegance of Scheba Hotel provides the perfect setting of a stylish restaurant and luxury rooms. It has the spectacular scenic view of Gikondo, Kimihurura and Kicukiro suburbs, the magnificent pool view and the street view on the other side. Scheba Restaurant offers guests a range of continental, Indian, Italian and Oriental cuisine while Scheba pool view bar offers a relaxed atmosphere for a memorable experience. enjoy the beautiful panoramic view of Kigali while bringing in the lovely breeze. Flat Screen TV with a wide range of satellite channels.